By 2021, consultant firm Frost & Sullivan expects that artificial intelligence (AI) systems will generate $6.7 billion in revenue from healthcare globally. One area that machine learning is significantly evolving is genomics—the study of the complete set of genes within an organism. While much attention has been paid to the implications for human health, genetic sequencing and analysis could also be ground-breaking for agriculture and animal husbandry. When researchers can sequence and analyse DNA, something that artificial intelligence systems make faster, cheaper and more accurate, they gain perspective on the particular genetic blueprint that orchestrates all activities of that organism. With this insight, they can make decisions about care, what an organism might be susceptible to in the future, what mutations might cause different diseases and how to prepare for the future. Since the illnesses an individual experiences in a lifetime are largely determined by their genetics, there has been significant interest to better understand our genetic makeup for years. Our progress was stalled by the complexity and enormity of the data that needed to be evaluated. With advances in artificial intelligence and machine learning applications, researchers are better able to interpret and act on genomic data through genome sequencing and gene editing. A genome sequence is a specific order of DNA building blocks (A, T, C, G) in a living organism; the human genome is made up of 20,000 genes and more than 3 billion base pairs of these genetic letters. Sequencing the genome is a critical first step to understanding it. The latest technology called high-throughput sequencing (HTS) allows the sequencing of DNA to occur in one day—a process that once took a decade when it was first done. When changes are made to DNA at a cellular level, it’s called gene editing. One of the most exciting prospects about gene technology is the development of precision or personalised medicine. The field, which enables interventions specific to a patient or population of genetically similar individuals, is expected to reach $87 billion by 2023. Historically, cost and technology limited the implementation of personalised medicine, but machine learning techniques are helping to overcome these barriers. Machines help identify patterns within genetic data sets and then computer models can make predictions about an individual’s odds of developing a disease or responding to interventions. Google’s tool DeepVariant uses the latest AI techniques to turn high-throughput sequencing (HTS) into a more accurate picture of a full genome. While HTS was available since the 2000s, DeepVariant is able to distinguish small mutations from random errors. Deep learning was instrumental in effectively training DeepVariant. While we can now read and sequence genes quickly, we have barely scratched the surface to make sense of what it’s telling us. 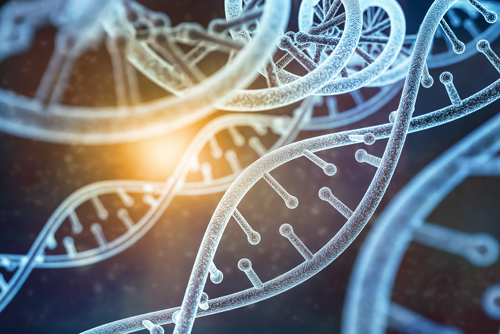 The Canadian start-up Deep Genomics uses its AI platform to decode the meaning of the genome to determine the best drug therapies for an individual based on the DNA of the cell. The company’s learning software analyses mutations and uses what it’s seen in the hundreds of thousands of mutation examples it’s analysed to predict the impact of a mutation. New cancer cases number millions annually, but chemotherapies and drugs have inconsistent success. Companies such as Sophia Genetics hope that by using artificial intelligence to identify genetic mutations, physicians will be able to prescribe the best drug treatment for each individual patient. Some companies are working on technologies that support editing of genes by making changes to the DNA at the cellular level. CRISPR, a gene-editing technology, is a collaboration between computer scientists and biologists. There are positive outcomes for “editing out” genes that might cause disease or “editing in” genes that create high-yielding, drop-resistant crops, but it also introduces complex ethical, moral and legal implications. Most people can see the benefits of “optimising” health by editing mutated genes, but the issue is more complex when we begin to “optimise” the human race. Another thing experts are working to resolve in the process of gene editing is how to prevent off-target effects—when the tools mistakenly work on the wrong gene because it looks similar to the target gene. Artificial intelligence and machine learning help make gene editing initiatives more accurate, cheaper and easier. The future for AI and gene technology is expected to include pharmacogenomics, genetic screening tools for newborns, enhancements to agriculture and more. While we can't predict the future, one thing is for sure: AI and machine learning will accelerate our understanding of our own genetic makeup and those of other living organisms.